What’s good? When it comes to keeping your hands warm and dry, the Taurus gloves are virtually faultless. I commute around 180 miles per day, most of it on motorways, and the gloves have shrugged off everything the weather has thrown at them. The double cuff system is odd at first but, once you’ve got the hang of it, it’s quick and works well. Unlike some deep winter gloves the palm and fingers aren’t overly padded, so you can still feel your heated grips and controls. I usually wear a medium glove, but the large fit me well, so definitely try them on first. What’s not? 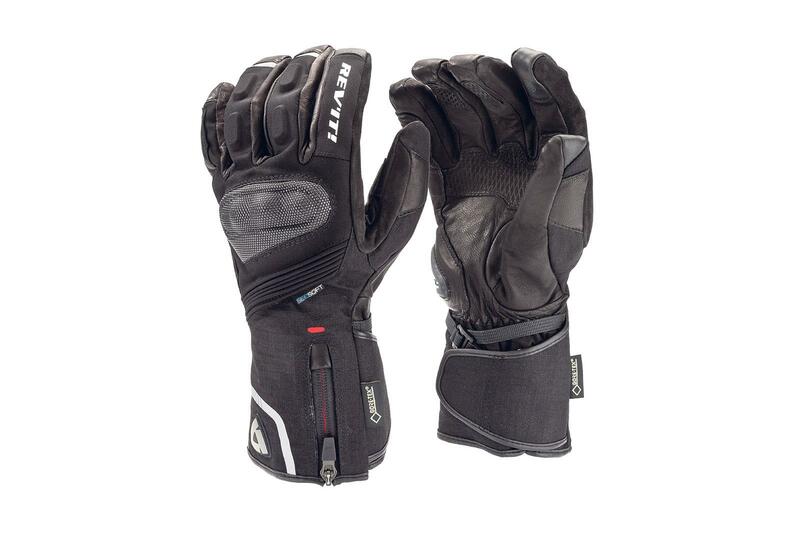 The Gore-Tex liner is separate to the outer shell of the glove, so it has a double cuff. Rev’It say you can put one part under your jacket and one over – you can, but only for one glove. After that the fingers are so padded you just have to jam the other one on any way it will go.